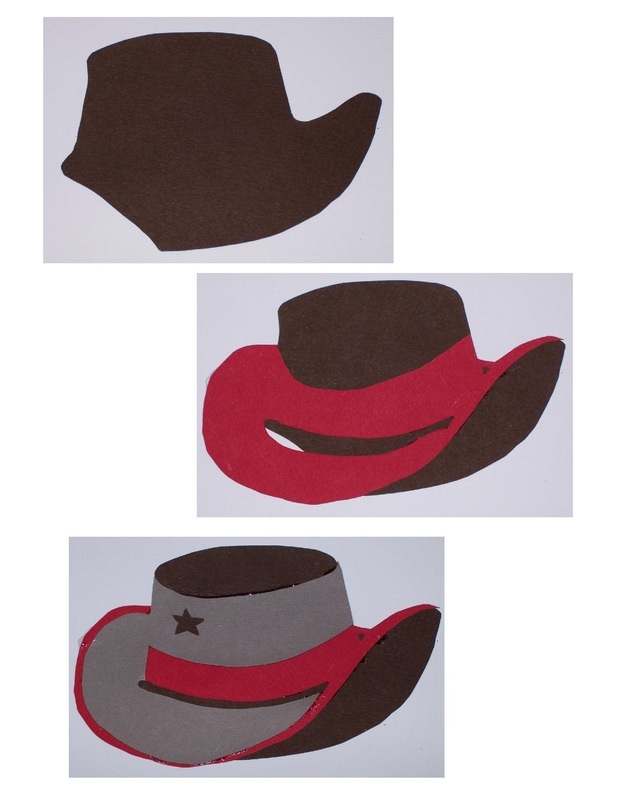 Create the Cowboy or Cowgirl Hat by layering 3 pieces of shaped coloured paper. 1. Three pieces of thick A4 paper - I have used light brown, dark brown and red. Use your favourite colours. 1. 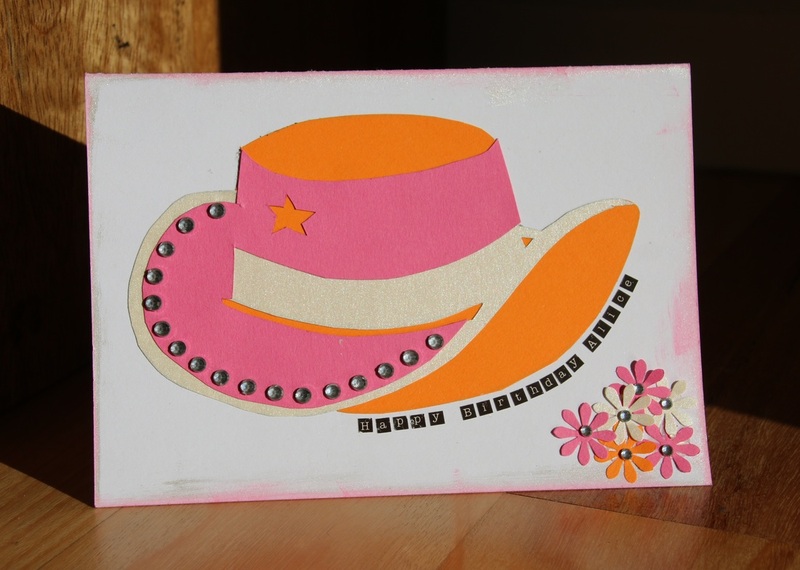 Print off the template below onto each of the three pieces of card. In the example, light brown, dark brown and red card. Make sure that you print onto the BACK of the paper. Open the jpg image (right) or pdf file (below) and print. 2. 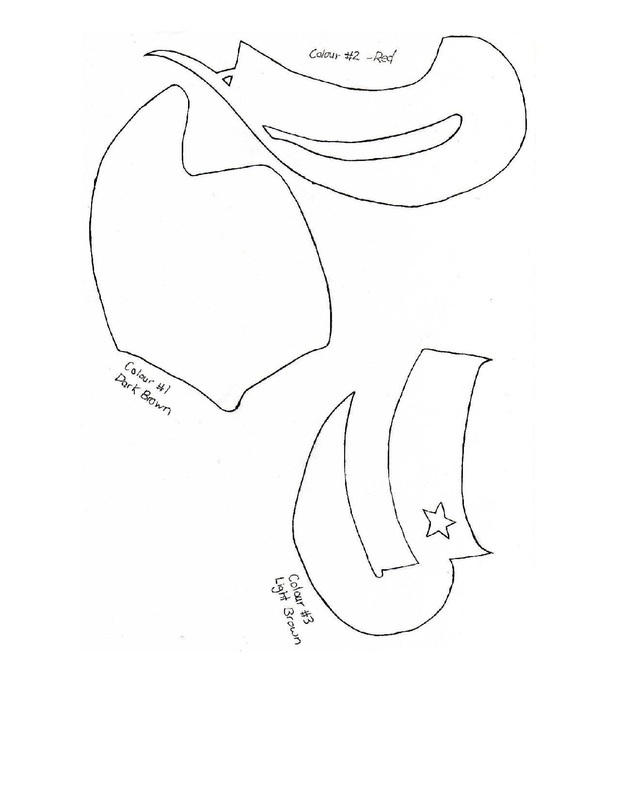 Cut out the three pieces required to make the hat. You will need to cut a different piece out of every A4 Piece of paper. The template has the colour's I used labelled next to each of the three template pieces. 3. 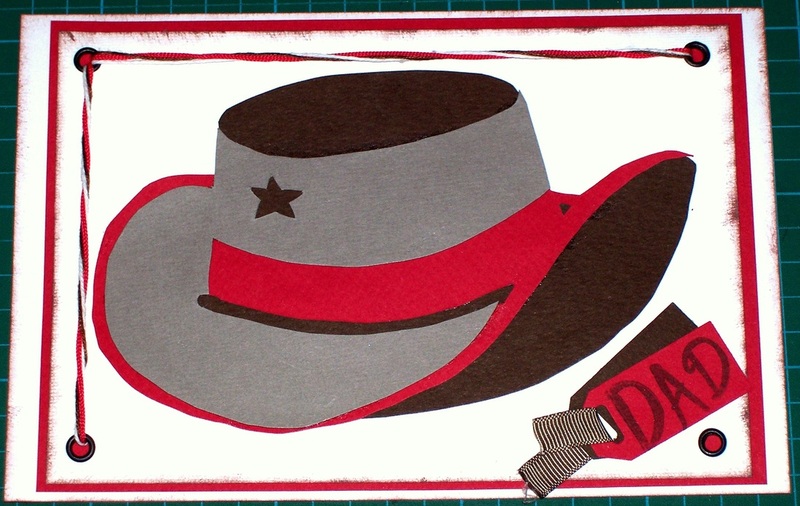 Paste the three pieces onto the white card, as shown in the photo's below, to create the cowboy hat. Start with dark brown, then the red, and lastly the light brown. After you have pasted the first piece down it is helpful to ensure you have worked out how the next two pieces will go BEFORE you paste the second piece down. If you can't see the photo's properly, click on them to bring up a larger image. 4. 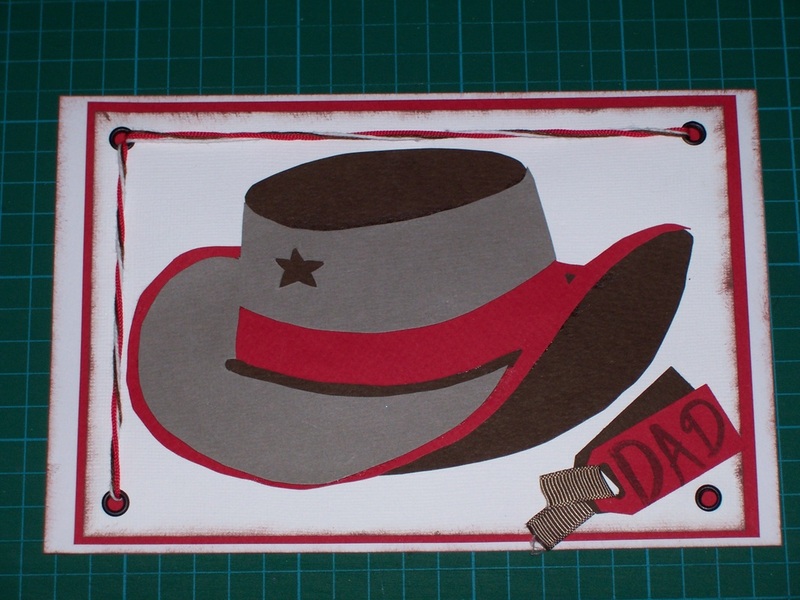 Create a card using the finished cowboy hat. I have provided one example you could follow, or create your own.